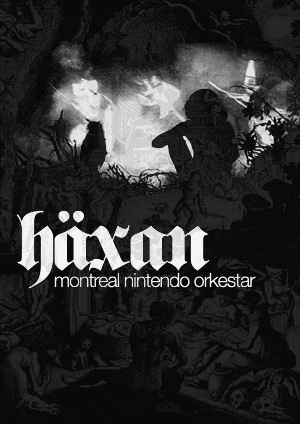 Serving as a tribute soundtrack for the 1922 film – “Häxan”, we meet the Montreal Nintendo Orkestar once again, but with a different approach to their music. Composing all of their music from old Nintendo games, MNO never had that all too familiar old sound of the beeps and bleeps that these old video games used to have. Instead, they used this platform of sound creation and manipulation in order to create a darker, more unsettling music, a fact that I personally appreciated. To this day, I think that Haxan is their darkest album and, having its cinematic virtues, the most impressive, if we keep in mind that all of the sounds we are hearing are coming from these game consoles. Practically speaking, the seven tracks of Haxan are blending together into one long piece, which is more than a suitable arrangement for a movie score. The slowly developing music begins with a heavily breathing that breeds out an endless, organic sounding drone. This meditative process of sound sculpture sounds like a live process, where the members of this duo, Stephen S.Cibo and Alberick, attempting, in some sort of a ritual, to bring this odd creature into life. The almost too low to hear heart beats are growing in their intensity, while MNO add more obscure sounds to their surrounding and try to keep it stable. At other parts the beat dies for a while, only to regain momentum a couple of minutes later. These changes are subtle, but by the end of the fifth track you can already feel the turbulence of sound that has evolved from the simple droning at the beginning, for instance. Haxan is definitely an album to look for if you’re interested in dark music that can penetrate your psyche. Score music or not, this is a perfect opportunity to shut down the lights, press play and see where your thoughts take you, with the help of MNO’s eerie, never stopping wagon.